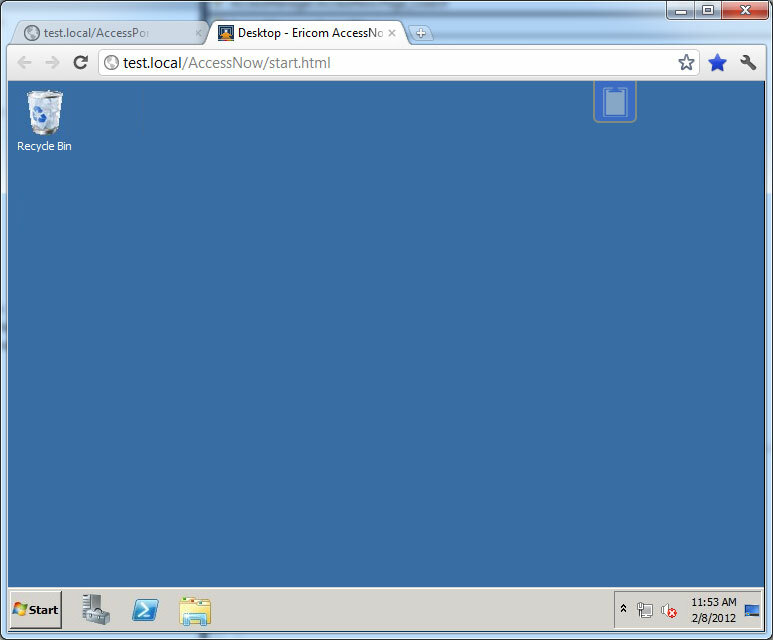 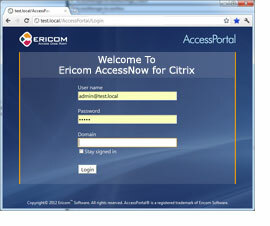 What is AccessNow for Citrix? 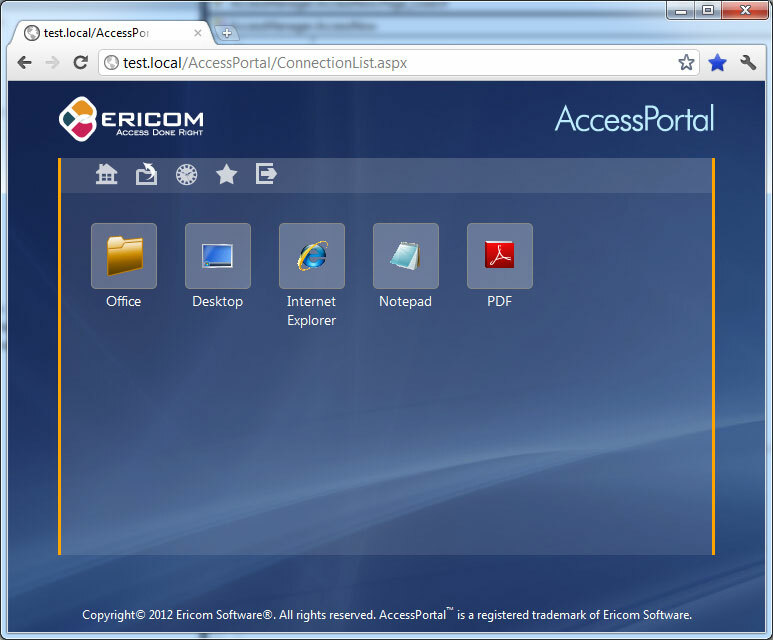 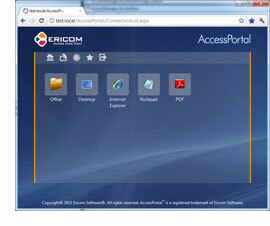 Ericom AccessNow™ for Citrix is a pure, HTML5-based RDP client, enabling some versions of Citrix XenApp to deliver Windows applications and desktops to any HTML5-compatible browser on any device, including Chromebooks, iPad / iPhone, Android, RIM Playbook / BlackBerry, Windows PCs, Linux, and Mac and other end-user devices. 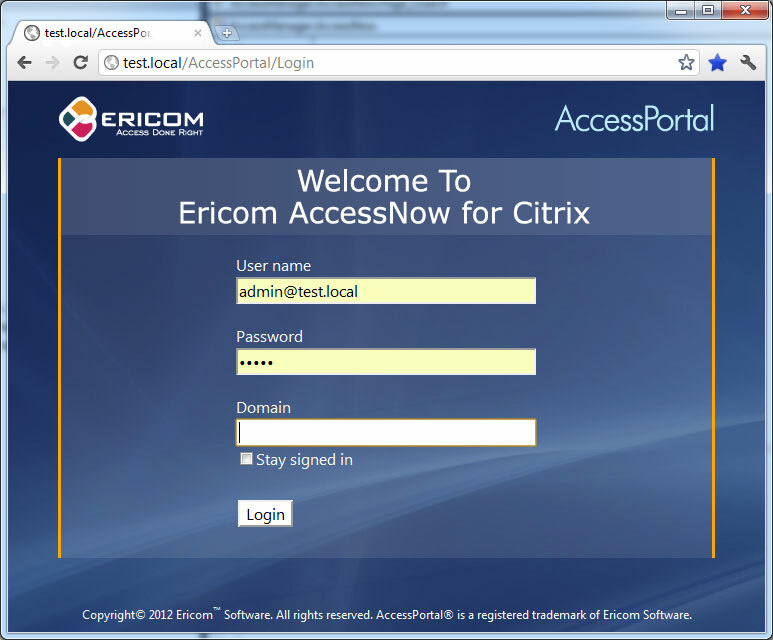 AccessNow for Citrix adds value to some versions of Citrix XenApp. 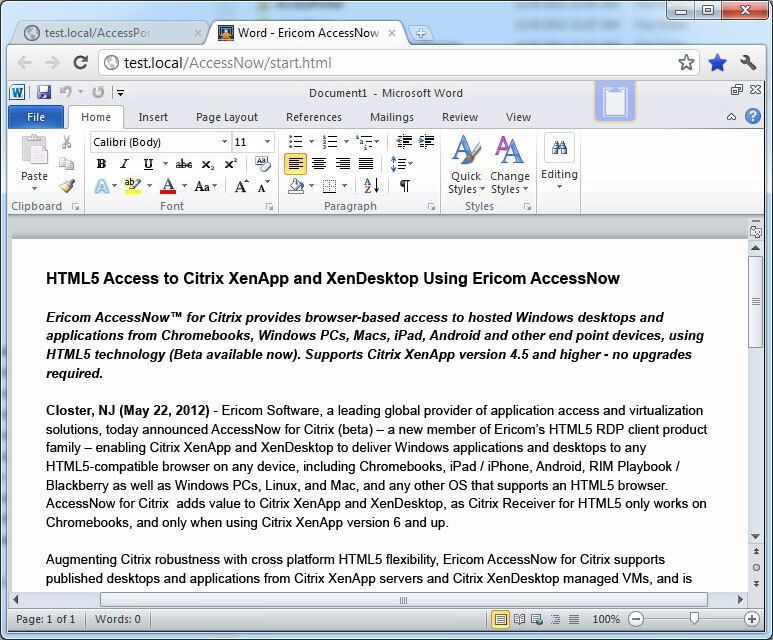 Citrix Receiver for HTML5 only works on Windows devices, Macs and Chromebooks, and only when using Citrix XenApp version 6 and up, whereas AccessNow supports Citrix XenApp version 4.5 and higher – no upgrades required. 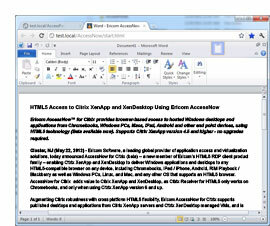 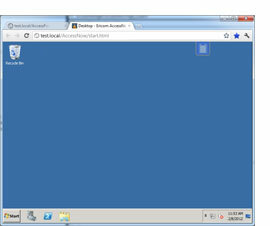 Supports published desktops and applications from Citrix XenApp servers. 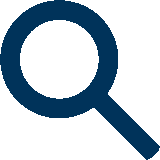 Compatible with some earlier versions of Citrix XenApp as far back as XenApp 4.5 (Presentation Server), removing the immediate need to upgrade to Citrix XenApp version 6.